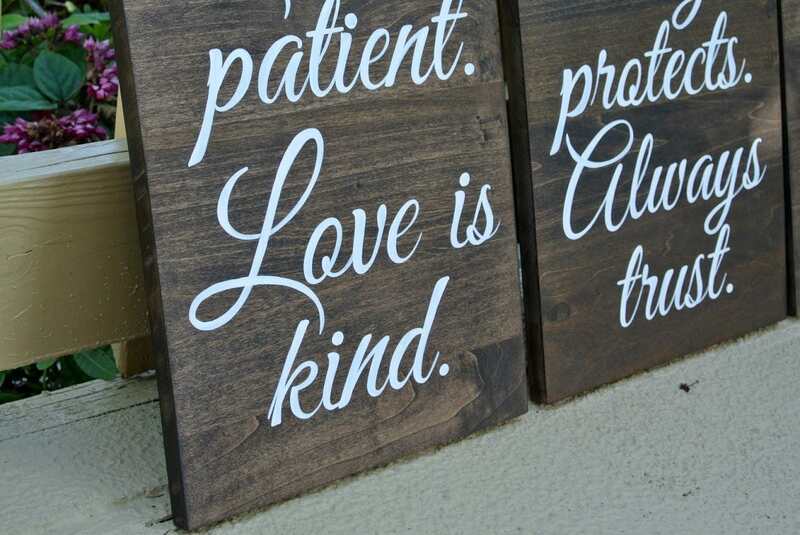 Wood Wedding aisle signs, Rustic Wooden Decor Wedding Ceremony, Love is Patient Love is Kind, Christian Wedding gift. 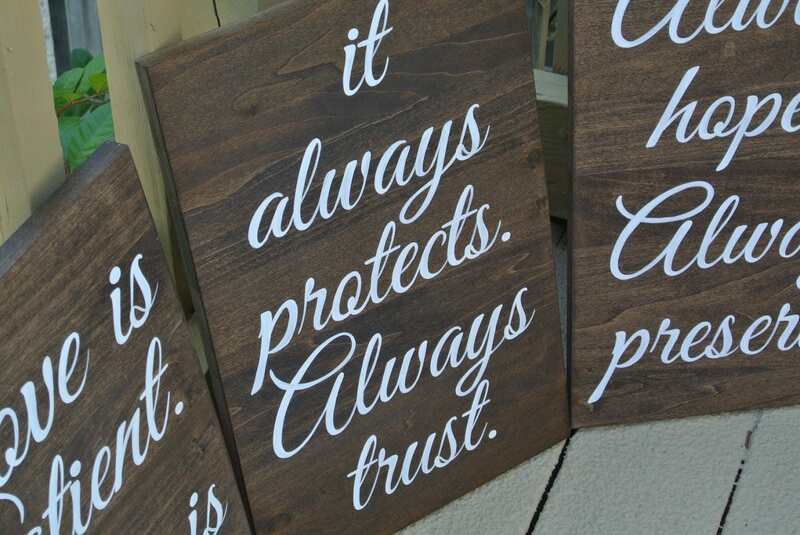 It always protects. Always trust. 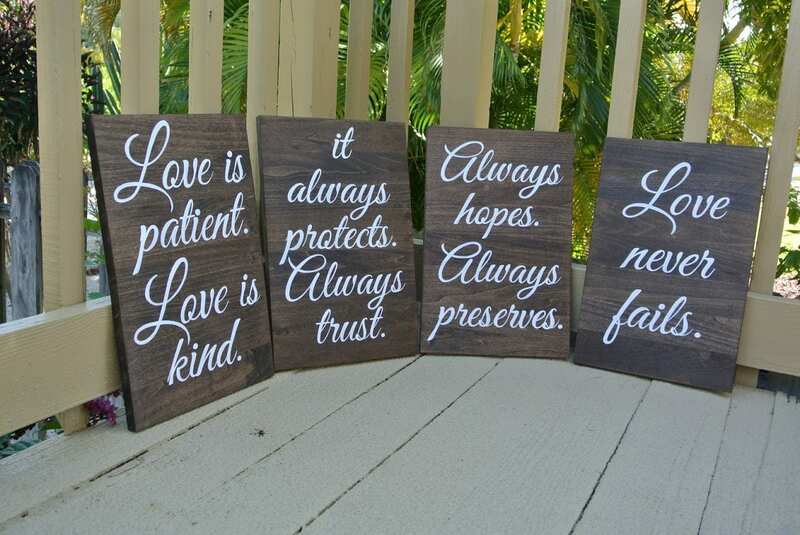 Made from high quality wood, hand painted and weather protected in Key West, FL. 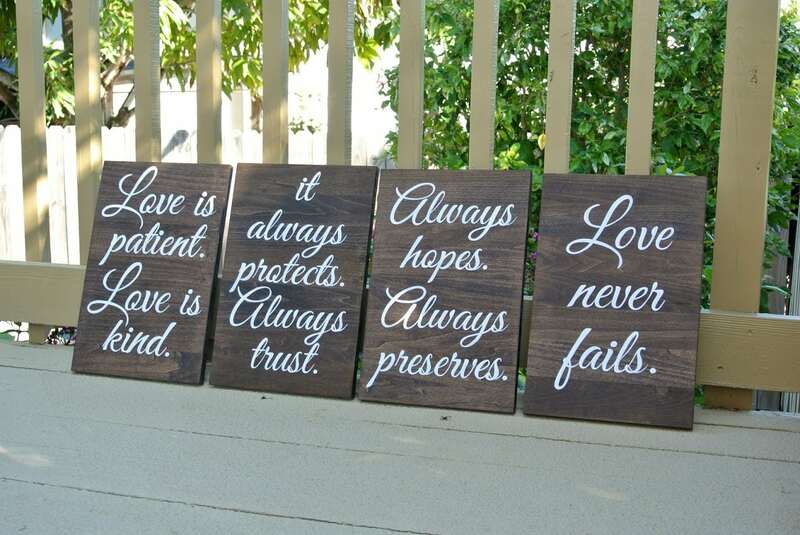 Choose any wood finish color and font. 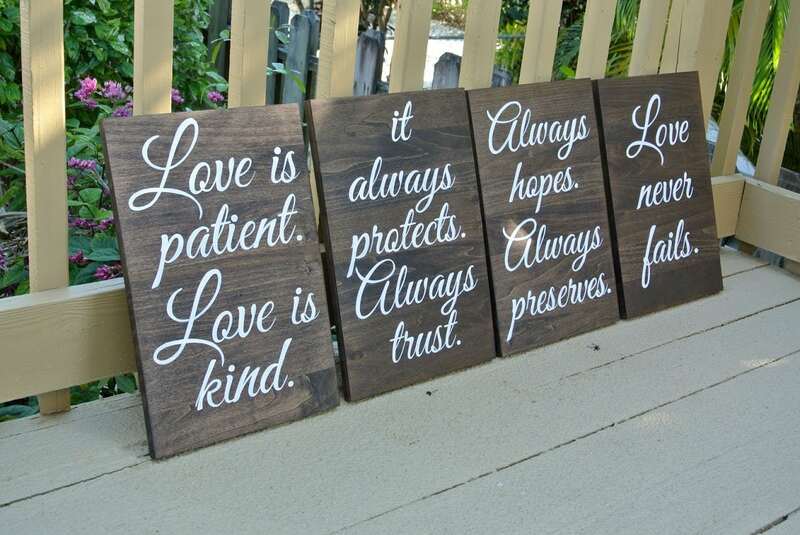 Different writing and sizes available. Message us for details.